Sunday July 3rd 2016: Terry Collins New York Mets (44-37) in hot pursuit of a wild card spot hosted Joe Maddon's Chicago Cubs (51-30). The Cubs were the hottest team in baseball but were on the verge of being swept by the Mets, just as the Mets had done in the previous NLCS in 2015. A large crowd of 36, 137 came to Citi Field as Noah Syndergaard went up against Jon Lester. The Cubs got on the board first with an RBI single by Anthony Rizzo. The Mets answered back with Curtis Grandersons's 14th HR of the year in the bottom of the 1st. 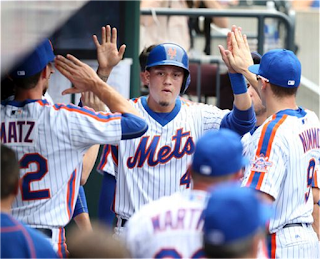 The Mets blew it open in the 2nd inning, sending 15 men to the plate, scoring seven runs with eight hits & two base on balls making it 8-1 Mets. It was Wilmer Flores who started the inning off with a solo HR (5) on his way to his record tying day. After Matt Reynolds doubled, Rene Rivera hit his third HR of the season. Pitcher Noah Syndergaard drew a walk & advanced to third on Juan Lagares' double. 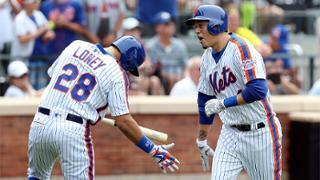 Singles by Granderson, Cespedes, Neil Walker & again Wilmer Flores made it 8-1. In the 4th, Flores collected his third hit a single, he eventually scored on Rivera's RBI base hit. 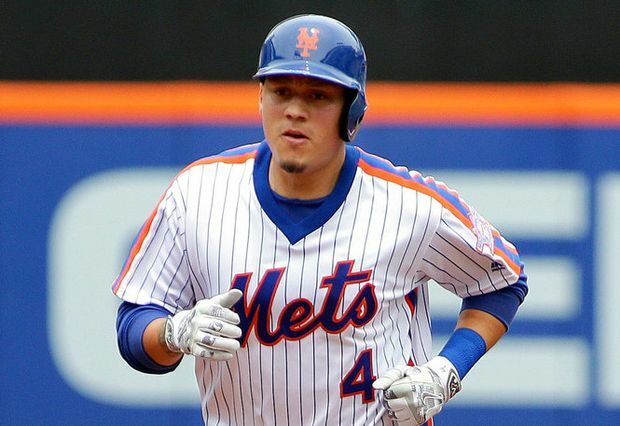 In the 5th inning, Flores clouted his second HR of the day, sixth of the year making it 10-1 Mets. For Flores it was his fourth hit & third RBI of a historic day. In the 7th after Kelly Johnson homered, Flores collected his fifth hit another single. again. this time the at bat would mean he would tie a Mets record set by Edgardo Alfonzo back in 1999, when he collected six hits in a game. Flores came through & delivered, securing himself another spot in Mets history. 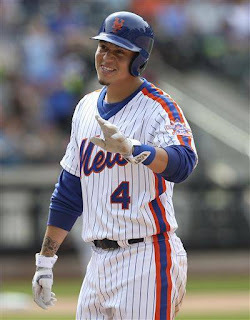 His single off Miguel Montero got him his sixth hit & the crowd acknowledged the feat. Flores was 6-6 on the day, with a pair of HRs, four singles, three runs scored & four RBIs. He managed to raise his average 31 points on the day from .224 up to .255 as well. 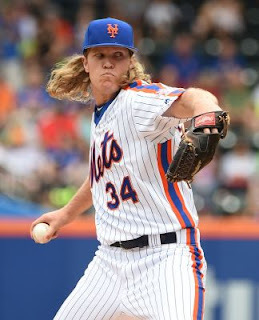 Syndergaard rolled along to his ninth win (9-3) keeping one of the leagues best ERA's at 2.43. He struck out eight along the way, walked no one while pitching seven strong innings.